Not living in the city where I grew up , it's rare I get a chance to take my kids to places that mean a lot to me. 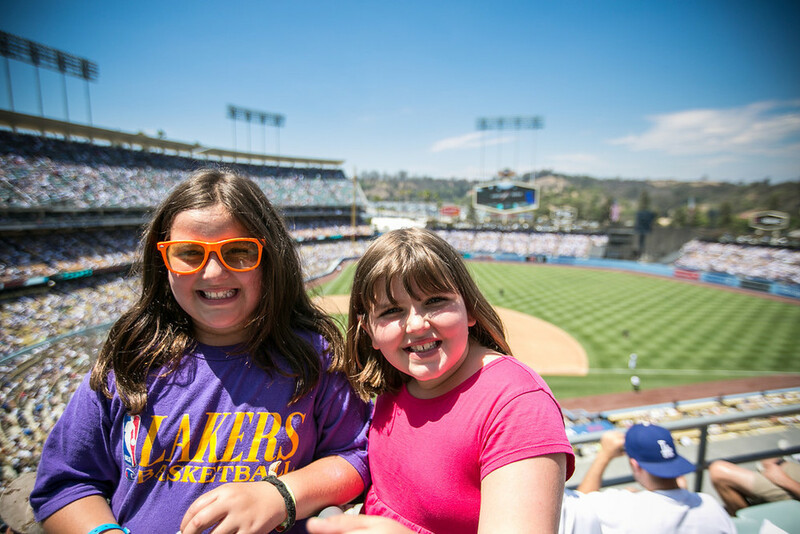 Well, we had a spur of the moment chance to catch a Dodger game during a short L.A. visit. I haven't been to Dodger stadium in over 11 years (since I moved to San Francisco, I know. . the irony). One bite of a Dodger Dog threw me back to when I was my kid's age. I've instilled the proper values to my children (Lakers, Dodgers, Kings), so it's special for them to see one of the places they've heard so much about.